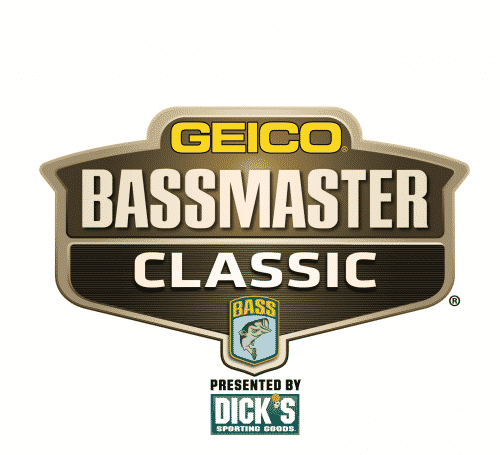 DAYTON, Tenn. (April 11, 2019) – As has become the standard for the Major League Fishing® (MLF) Bass Pro Tour Elimination Rounds, you didn’t have to look far to find a multitude of storylines on Day 3 of the Econo Lodge Stage Four Presented by Evinrude. Aaron Martens gave notice that he’s onto a strong pattern on Lake Chickamauga, and is going to be a handful for the rest of the competition as he finished atop the 40 Group A anglers who competed in today’s Elimination Round. 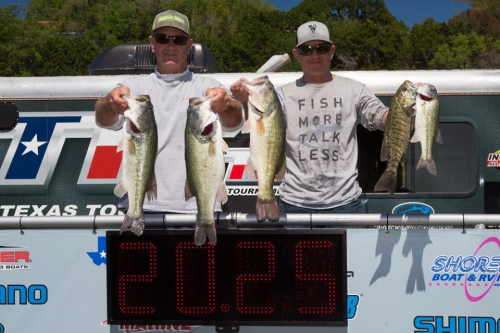 And joining him in the 20 moving on to Saturday’s Knockout Round are three anglers – Justin Lucas, Jesse Wiggins and James Elam – who had not previously advanced past an Elimination Round. 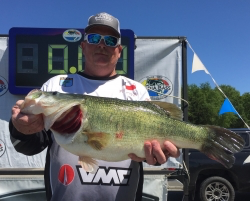 The way Chickamauga is producing scorable bass this week, all Group A and Group B Elimination Rounds’ survivors are likely to find squeezing into the Top 20 at the end of Knockout may be harder than it ever has been. Coming into Stage Four, Lucas, Wiggins and Elam had not made it out of the Elimination Rounds. Lucas was the last man out in his Elimination day on Texas’ Lake Conroe, but all three anglers had found themselves outside the Top 40 in the three previous Bass Pro Tour events leading up to Stage Four. 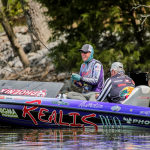 In the Thursday fishing though, all three finished well above the Elimination Line: Lucas weighed in 36-13 for a combined weight of 87-10 (fifth), Wiggins added 37-7 to boost his two-day total to 84-4 (ninth), and Elam caught 28-13 for a total Elimination weight of 75-3 (14th). 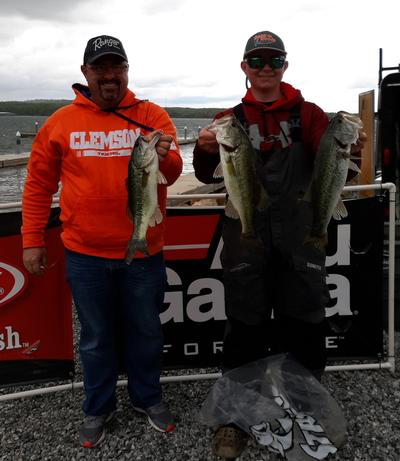 “Chickamauga fishes a lot like Guntersville this time of year, so it’s familiar to me from living in northern Alabama and fishing Guntersville the past several years,” Lucas said. “I just feel comfortable. I’ve caught almost everything this week on a spinning rod. Those first couple of events were out of my element a little bit: shallow pre-spawn largemouth just isn’t my thing. Justin Lucas fished his way into his first Knockout Round of the season. With the first half of the Knockout Round now set, the 40 anglers from Group B get their next shot at Chickamauga Friday for the second Elimination Round of Stage Four. 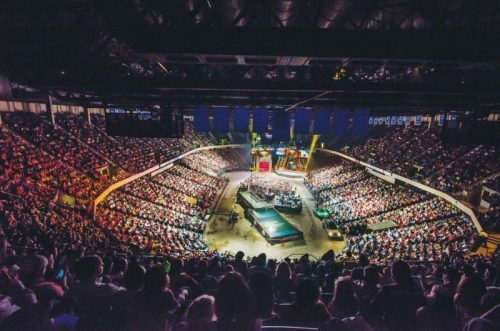 They can expect some weather: The National Weather Service is calling for sustained winds of 20 mph and rain on Thursday night, and possible thunderstorms throughout competition. That’s likely of little consequence to Cliff Crochet, who posted 69-9 in his Shotgun Round, spent the final two periods of that day running new water, and barring an epic meltdown, is probably comfortably safe from elimination. Ditto the five other anglers (Edwin Evers, Zack Birge, Fletcher Shryock, Michael Neal and Gary Klein) who weighed 47 pounds or more on Day 1. Neal, for one, is nonplussed about more rain. Expect the anxiety to be much higher in the middle of SCORETRACKER™, where the battle to escape elimination is tightly bunched as usual. 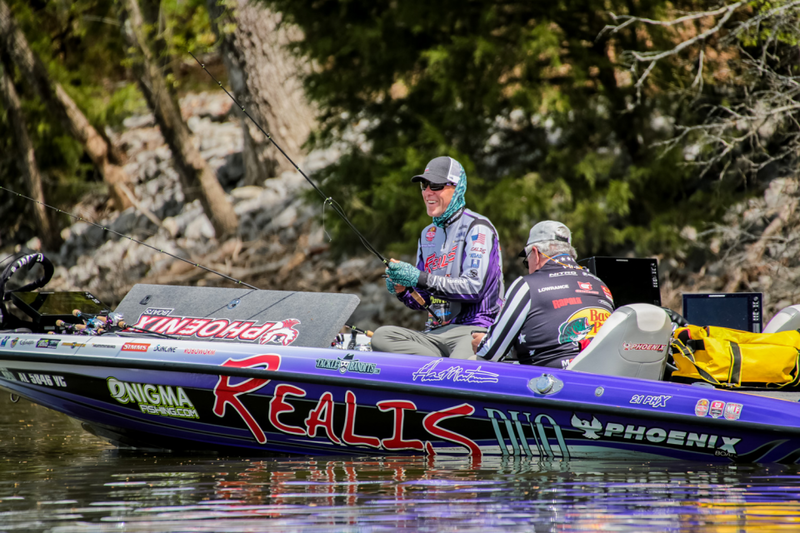 But unlike previous elimination days, where big movement has been the norm in the first three events, Chickamauga’s prolific productivity may make it tougher to climb up from the bottom of the 40-man standings. The Top 20 anglers from each of the two Elimination groups will advance to a 40-angler Knockout Round on Saturday – weights will be zeroed, making the Knockout a one-day scramble. The Top 10 anglers in the Knockout Round will advance to the Championship Round on Sunday, April 14.